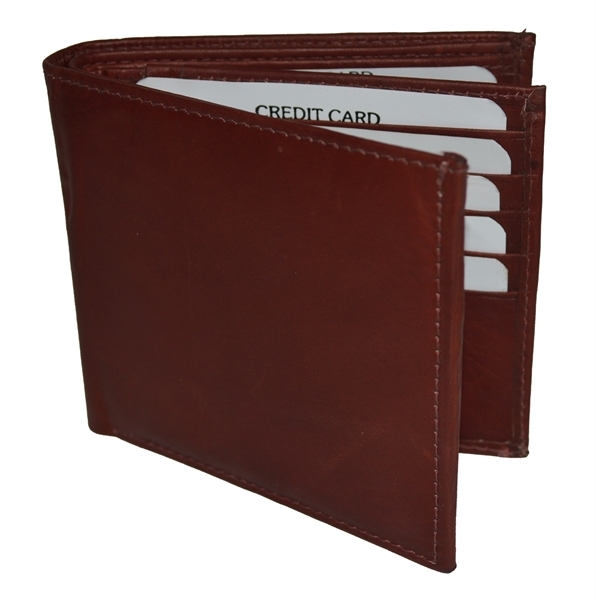 Mens bifold wide hipster wallet. 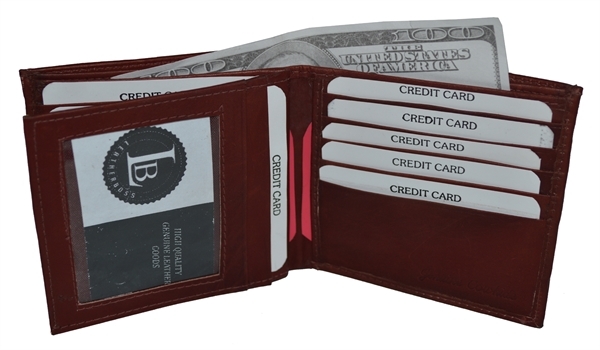 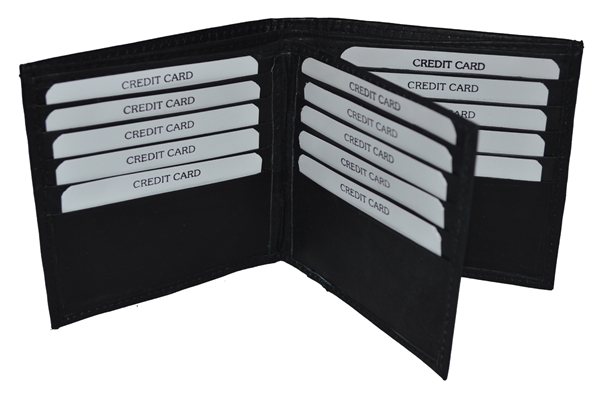 A genuine leather Wallet/ creditcard holder . 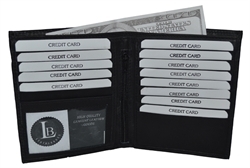 It can hold credit cards, Picture ID, and it also has a money pockets behind the cards. 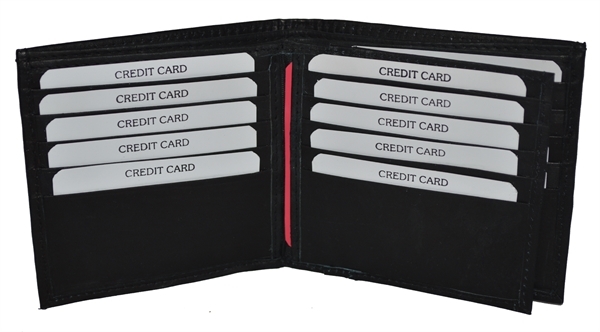 It has 16 credit card slots & a clear plastic window. It is appx. 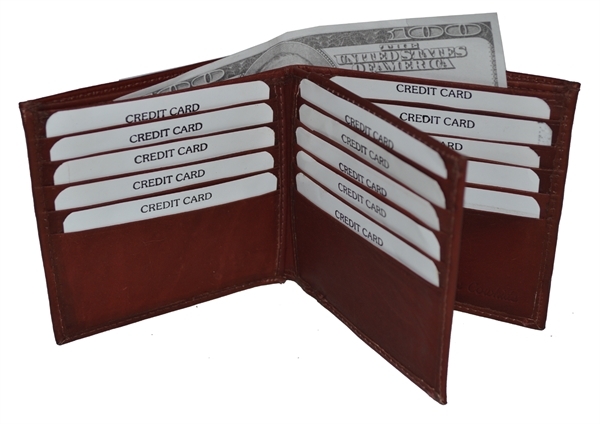 4" X 3.7/8" when closed.